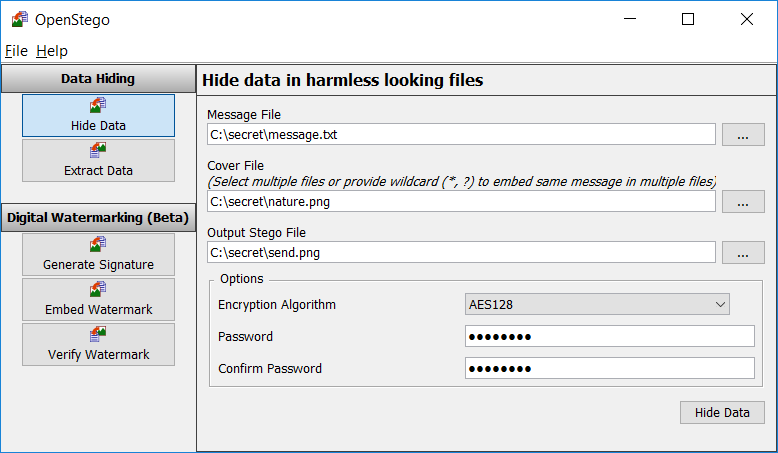 Welcome to the homepage of OpenStego, the free steganography solution. 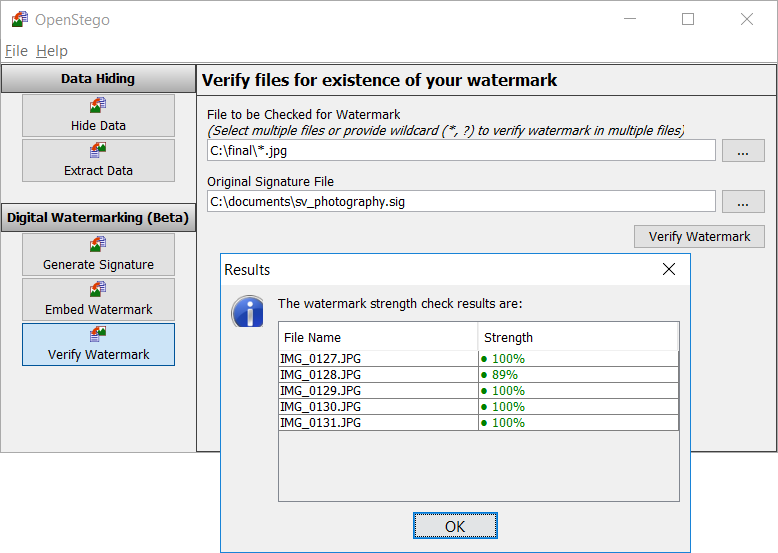 Watermarking (beta): Watermarking files (e.g. 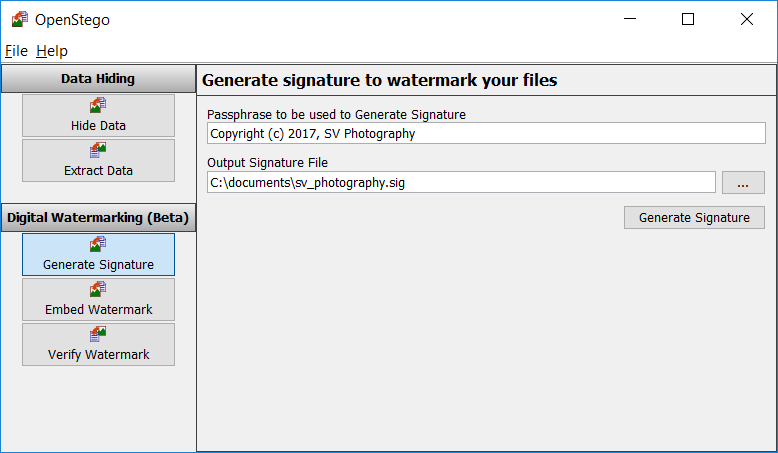 images) with an invisible signature. 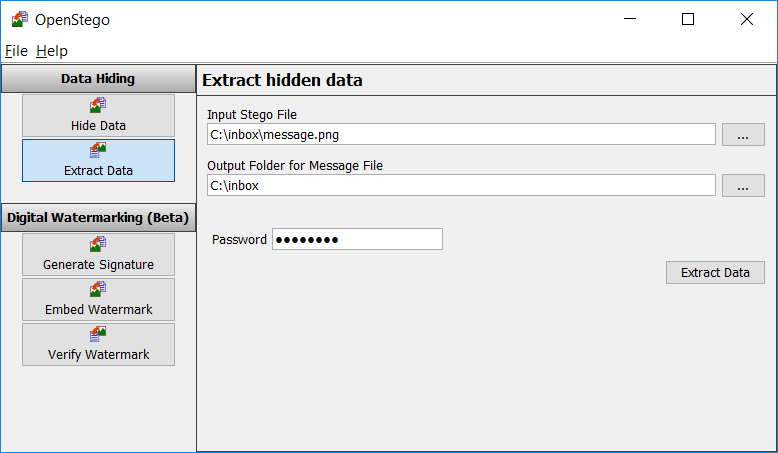 It can be used to detect unauthorized file copying. Please see Concepts page to learn more. Using OpenStego is pretty straightforward. 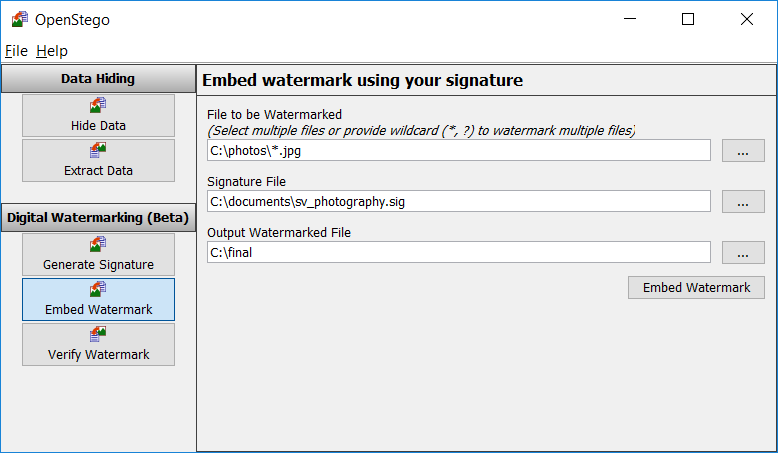 There are two modes of operation - data hiding and watermarking.